What Day Do Sikhs Worship? 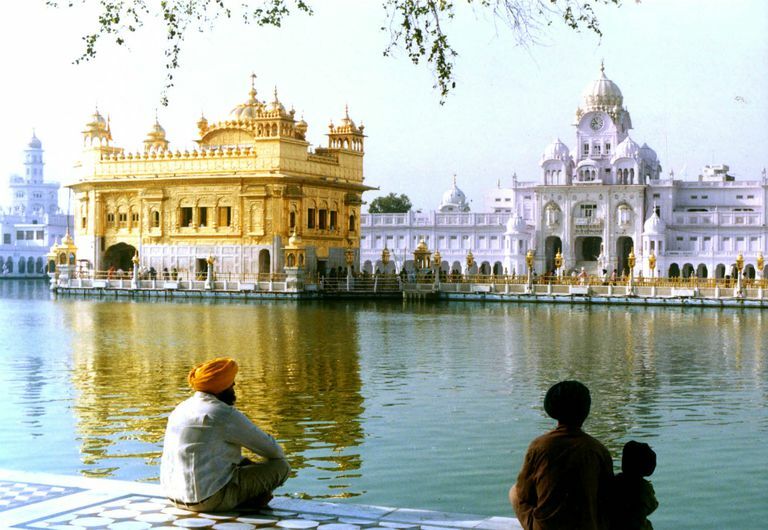 The Golden Temple is a prominent Sikh Gurdwara located in Amritsar, Punjab, India. Many faiths set aside a particular day set for worship or meet on a significant day. For example, Islam observes prayers five times daily. Muslims generally congregate in the mosque on Friday. Judaism observes Saturday as the Sabbath, or day of rest, as mentioned in the Ten Commandments. The Jewish Sabbath begins at sundown on Friday and lasts through sundown on Saturday. Christianity generally practices meeting in church for worship on Sunday. However, Protestant Seventh Day Adventist keep the seventh day Saturday as Sabbath. Sikhs do not observe a Sabbath. Sikhism does it set aside any special day for worship nor does it have a particular day of rest. In fact, Sikhs stay busy, either actively worshiping, or performing seva and selflessly serving the Sikh community. The remainder of the time is spent working to earn an honest living. Worship for Sikhs takes place every morning and evening in the form of meditation, prayer, singing of hymns and reading scripture of the Guru Granth Sahib. Daily worship services make take place communally, or individually, whether in a gurdwara, in a communal living situation, or in a private home. Most gurdwaras in Western countries hold Sunday services, not because of any particular significance, but because it is a time when most members are free from work and other obligations. Gurdwaras with a resident attendant to care for the Guru Granth Sahib hold morning and evening worship services every day. "Jhaalaaghae outh naam jap nis baasur aaraadh"
Naam simran—Morning meditation and recitation of Waheguru. Nitnem—Reading or recitation of five-morning prayers at dawn. Prakash—Ceremonial opening of the Guru Granth Sahib. Asa di Var—A set of 24 hymns taken from Guru Granth Sahib, which are traditionally sung in the early morning around dawn. Kirtan—Singing of hymns by Ragis, musicians trained in the classical measure of raag. Hukam—Reading of a random verse from Guru Granth sahib considered to be the divine order. Langar—A free meal cooked and served in the gurudwara kitchen and dining hall. Rehras—Evening prayers read at sunset, followed by more kirtan and a reading of hukam. Sukhasan—Ceremonial closing of the Guru Granth Sahib between sunset and midnight. Commemorative holidays are observed with celebratory worship services and festivities which often include nagar kirtan parade processions. Song of the Sikh Marriage, "The 4 Wedding Rounds"